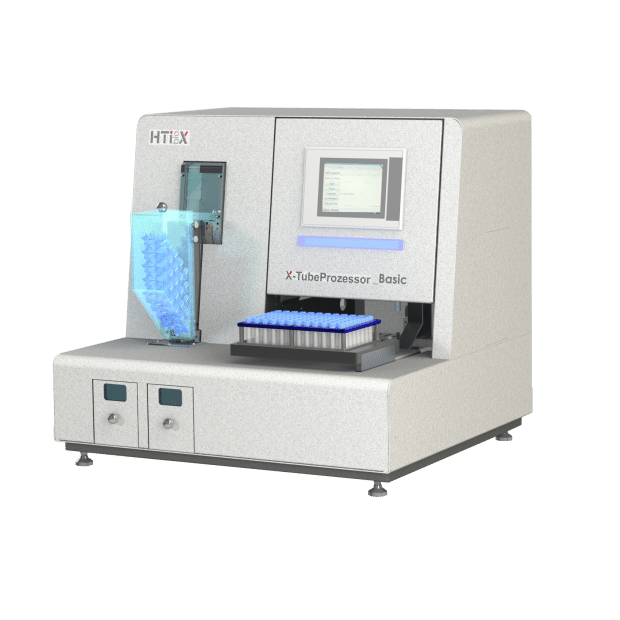 HTI bio-X is a German engineering company that specializes in lab automation equipment, specifically automatic cappers and decappers. While the standard unit caps and decaps screw cap tubes, customers can customize their units to label, fill, and scan samples as well. The X-Tube processor of HTI bio-X is a versatile capper / decapper for screw caps. Next to the capping / decapping function, this customer-specific solution can, for example, also be provided with a tube labeling or tube filling system. The device is compatible with different types of cryo tubes and tubes from Micronic.